James William Hammonds, 82, of Humble, passed away March 27, 2019 in Liberty, Texas. James was born in Beaumont Texas to parents Robert and Ruby Hammonds on November 26, 1936. He proudly serviced his country in the United States Marine Corps. He married the love of his life, Pauline on September 27, 1958 and they enjoyed over 60 years together. James was a welder in the oil field industry before he retired. He is preceded in death by his parents; daughter, Rhonda Wood and grandson, Robert Allen Wood; brothers, Leonard Hammonds and R.D. Hammonds. 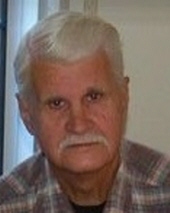 James is survived by his wife, Pauline Hammonds; children, Joyce Hammonds, Penny Pitts, James H. Hammonds; grandchildren, Heather Hernandez, Whitney Imler, Cody Conner, Sybil Hammonds, Jerrett Hammonds; great-grandchildren, Abygail Imler, Daniel Imler, Matthew Hernandez, Makena Hernandez; sister, Doris Sims; as well as numerous nieces, nephews, extended family members and friends. Friends are welcome to join the family for visitation from 6:00 p.m. to 8:00 p.m. on Friday, March 29, 2019 at Carter-Conley Funeral Home. Graveside services officiated by Rev. Watson Holyfield will be held at 1:00 p.m. Saturday, March 30th at San Jacinto Memorial Park under the direction of Carter-Conley Funeral Home. To send flowers or a remembrance gift to the family of James William Hammonds, please visit our Tribute Store. "Email Address" would like to share the life celebration of James William Hammonds. Click on the "link" to go to share a favorite memory or leave a condolence message for the family.